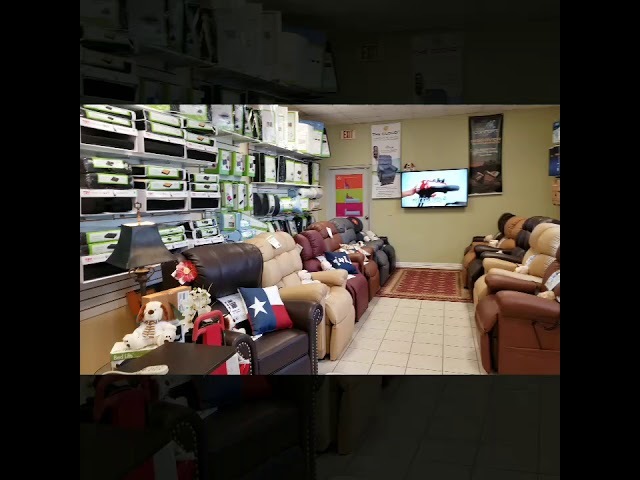 77009 Home Medical Supply Store in Houston TX - E Care Medical Supplies is a home medical supply retail store open to the public with a huge selection on home health medical products and medical equipment. We have a comprehensive selection of medical supplies and medical equipment from the best and known manufacturers in the industry such as Golden, Pride, Carex, Lumex, Medline, McKesson, Jobst and many others. Our medical supply store has different options available to buy or rent our medical equipment with the option of store pick up or same day home delivery service. If you are looking to buy or rent medical supplies or medical equipment for your home, we have the right product for you in our Houston showroom. If you are looking for a short-term medical equipment, we can also help you. E Care Medical Supplies offers medical equipment rentals in Houston and other Texas cities. We will deliver directly to your home or facility. If you are interested in renting our medical equipment, you can use our website to make a medical equipment reservation or you can also contact us to: (713) 695-4939. We also offer after hours delivery service in Just call or text our After Hours Delivery Service number and set up a delivery the same day. We proudly serve Houston and deliver to many other Texas citiessuch as: Alief, Alvin, Austin, Bacliff, Bay City, Baytown, Beasley, Beaumont, Bellaire, Bellville, Brazoria, Brookshire, Buna, Channelview, Cleveland, College Station, Columbus, Conroe, Corrigan, Crosby, Cypress, Dayton, Deer Park, Dickinson, Freeport, Fresno, Friendswood, Fulshear, Galena Park, Galveston, Giddings, Gonzales, Hempstead, Highlands, Hitcock, Hockley, Houston, Huffman, Humble, Hungerford, Huntsville, Katy, Kemah, Kendleton, Kingwood, La Grange, La Marque, La Porte, League City, Liberty, Livingston, Lufkin, Magnolia, Manvel, Missouri City, Mont Belvieu, Montgomery, Navasota, Needville, New Caney, New Waverly, Orchard, Pasadena, Pattison, Pearland, Pinehurst, Plantersville, Porter, Prairie View, Richards, Richmond, Rosenberg, San Antonio, San Felipe, Schulenburg, Seabrook, Sealy, Silsbee, Simonton, South Houston, Splendora, Spring, Stafford, Sugar Land, Sweeny, Texas City, The Woodlands, Thompsons, Tiki Island, Tomball, Victoria, Waller, Wallis, Webster, West Columbia, Willis, Woodville, and many more. Some of the zip codes we deliver in Houston are: 77001, 77002, 77003, 77004, 77005, 77006, 77007, 77008, 77009, 77010, 77011, 77012, 77013, 77014, 77015, 77016, 77017, 77018, 77019, 77020, 77021, 77022, 77023, 77024, 77025, 77026, 77027, 77028, 77029, 77030, 77031, 77032, 77033, 77034, 77035, 77036, 77037, 77038, 77039, 77040, 77041, 77042, 77043, 77044, 77045, 77046, 77047, 77048, 77049, 77050, 77051, 77052, 77053, 77054, 77055, 77056, 77057, 77058, 77059, 77060, 77061, 77062, 77063, 77064, 77064, 77065, 77066, 77067, 77068, 77069, 77070, 77071, 77072, 77073, 77074, 77075, 77076, 77077, 77078, 77079, 77080, 77081, 77082, 77083, 77084, 77085, 77086, 77087, 77088, 77089, 77090, 77091, 77092, 77093, 77094, 77095, 77096, 77097, 77098, 77099, and many more zip codes. To speak with an associate, call the store at (713)695-4939, or visit our local medical supply store showroom at 4306 Fulton St, Houston, TX 77009. Call Us For More Information On Our Home Medical Supply Store Today!